Special Containment Procedures: Containment procedure 62-Tango-Foxtrot (standard containment for anomalous structures, nonurban) is followed for SCP-2132-01. Radios tuned to SCP-2132 (███.█ K███) are to be stationed at cardinal points 16km from SCP-2132-01 to monitor signal strength and extended listening range; SCP-2132 and its effects have not extended beyond 15.76km, with an average distance of 15km. In addition, both iterations of SCP-2132 are to be recorded and retransmitted through secure channels to Site-11 for observation. Three members of Mobile Task Force Iota-19 ("Homemade Sins") are to remain in constant residence within SCP-2132-01 in order to intercept SCP-2132's "game" and win. One member is to be cycled out each month, allowing no member to spend more than three months onsite. When the game cycle has begun, all three members are to participate and wear standard-issue chest-mounted cameras sewn into their shirts for the duration of the game cycle. Description: SCP-2132 is a radio station designated ███.█ K███. To all outside of SCP-2132's anomalous range currently reaching a maximum of 15.76km, SCP-2132 functions as a numbers station, with a male child's voice reciting numbers and a list of colors. These readings occur every 5-6 hours and are different each time. To date, Foundation code experts have been unable to determine a meaning within the numbers. The voice is hypothesized to be synthesized due to various vocal cues (lack of audible breathing, same tone maintained throughout, etc.). Within the anomalous range, SCP-2132 largely functions as a music station, continuously playing songs from the 1920s-1950s. SCP-2132-01 is the collective designation given to a farmhouse and radio tower from which SCP-2132 emanates, operating in the countryside of Pottawatomie County, OK. 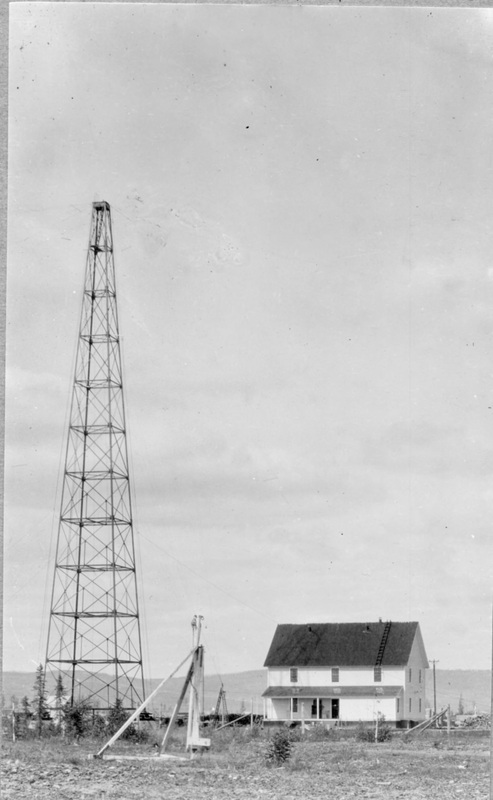 There is a hatch in the ground under the radio tower from which the station is presumed to operate, but as of this writing the Foundation has been unable to open it through conventional means (prying, blasting, melting, etc.). Digital sounding reveals only a tunnel that descends below the range of the sounding device. The hatch is inscribed with the words "مرحبا بك في بيتك أسعد"1. Welcome to Misters Marshall, Carter, and Dark's Most Dangerous Fighting Exhibition and Obstacle Resort! Please adjourn to the lounge for further instructions. Welcome to Misters Marshall, Carter, and Dark's Most Dangerous Fighting Exhibition and Obstacle Resort! Please enjoy some brandy and cigars while we prepare your playground. Please step outside and enjoy your playground. Remember, get home safe! The exit then swings open. If the residents do not immediately step out, the words "get home safe" are continually repeated (up to 150db over the course of one hour, causing permanent hearing loss). If, after one hour, residents still have not stepped outside, the game cycle will begin prematurely and an entity will enter the house and forcibly eject them. Entities to date include two mature grizzly bears, a colossal squid, and a guerilla ambush from an unknown army. Upon crossing the threshold, residents are transported to a new climate containing traps, puzzles, and exaggerated, hostile creatures. The only consistency between environments is a large stopwatch-style digital display projected in the sky. SCP-2132-01 disappears, and the goal of the game cycle is to locate it and return inside by the time the stopwatch reaches 0. Both SCP-2132 and SCP-2132-01 were discovered during a raid on a Marshall, Carter & Dark club, where they were advertised in the program as "a retreat from the mundane into the fantastic". Outcome: Agent Albright victory with minor bruising; Agent Solomon victory with no injuries; Ms. ██████ ██████ loss. Notes: Agent Albright has been officially commended for her quick thinking and resourcefulness in rescuing Agent Solomon from the "creeping ice" trap. Ms. ██████ ██████'s body rematerialized on the porch post-game-cycle and her death was reported to Pottawattamie County as a wild dog attack. No further questions have been posited. Number of agents guarding upped to three. Notes: Several SCP-like entities manifested in this game cycle as "boss fights" and traps, notably SCP-████ and SCP-████. Footage is currently under review to ensure there has not been a containment breach. Footage of fight between Agent Albright and Agent Dubcek currently under conduct review. Notes: First total loss on record. The bodies of Agents Dubcek, Pollone, and Solomon rematerialized on the porch post-mortem. All three were naked with chest cameras and footage gone and had the characters "افتقد والدي2" painted on their chests. Supplies given: Bonesaw, 17-cent postage stamp, letter opener, Ticonderoga #2 pencil. Environment materialized: Midwestern plains, initially thought to be a lack of materialization, proved a game cycle in 16 seconds. Following this the station (including both the numbers station and the alternate music station) went silent for six hours. When they restarted, the male child's voice had been replaced with a female child's and the inscription on the hatch had changed to "お帰りゆきさん"4. No other changes were noted. 2. "I miss my father"
3. "I want to go home"